BASEL, Switzerland--(BUSINESS WIRE)--Syngenta announced today that a new insecticide active ingredient with a novel mode of action to address resistance in the control of malaria vectors is entering the early development phase. 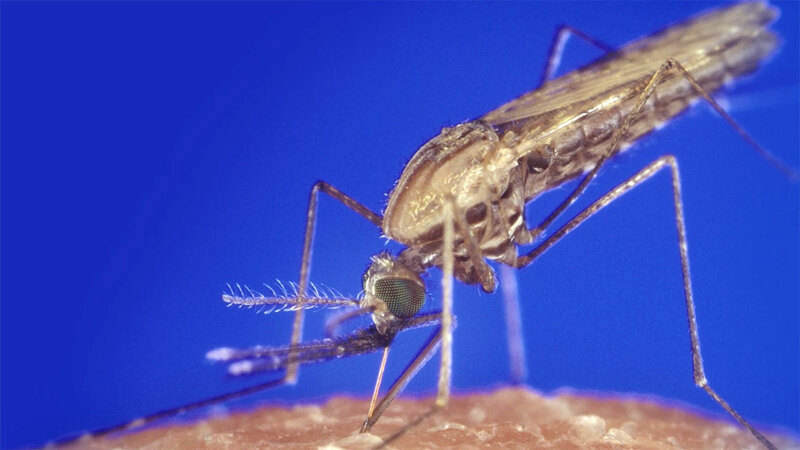 The new ingredient, comes from collaboration between Syngenta and the Innovative Vector Control Consortium (IVCC) to identify and develop new lead areas of novel chemistry suitable for the control of vector mosquitoes. Syngenta and IVCC entered into the collaboration in 2009. The WHO estimated that in 2016 there were 216 million malaria cases in over 90 countries around the world. Malaria is responsible for the death of around 445’000 people each year, and many of those impacted are smallholder farmers. Research shows that when a smallholder is infected with malaria during harvest, crop yields fall by almost 50% and income can drop by 50%. 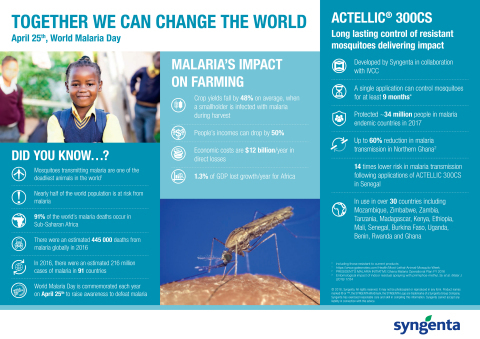 To meet this challenge, Syngenta working with the IVCC brought ACTELLIC® 300CS, a mosquito control solution, to the market. In 2013 it received a formal recommendation for use by the World Health Organization and it is estimated that in 2017 this long-lasting control product protected ~34 million people in malaria endemic countries.